Compare to Holmes aer1 hepa-type total air filter HAPF30AT, helps capture 99.97% allergens and pollutants from the air. Ideal for reducing odors from pets, tobacco smoke, cooking fumes and other unpleasant household odors. Compatible with aer1® ready air purifiers. 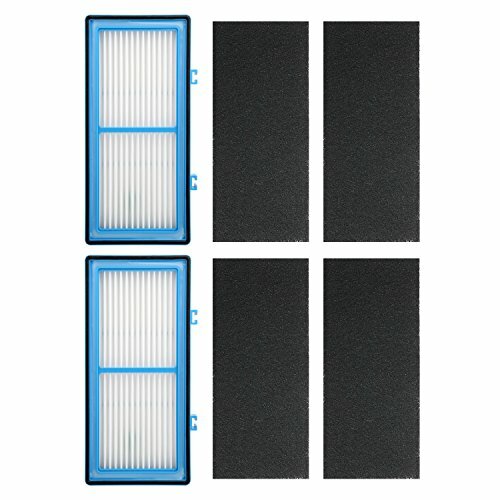 Includes 2 pack Holmes compatible air purifier filter AER1, product size: 10 x 4.6 x 1.2 inch. 100% Quality and Satisfaction Guaranteed! If you have any questions about this product by Extolife, contact us by completing and submitting the form below. If you are looking for a specif part number, please include it with your message.